USAF F-16 Viper at Spirit of St. Louis Airport. The Viper here has just left the runway and you can see the wheels just going up. 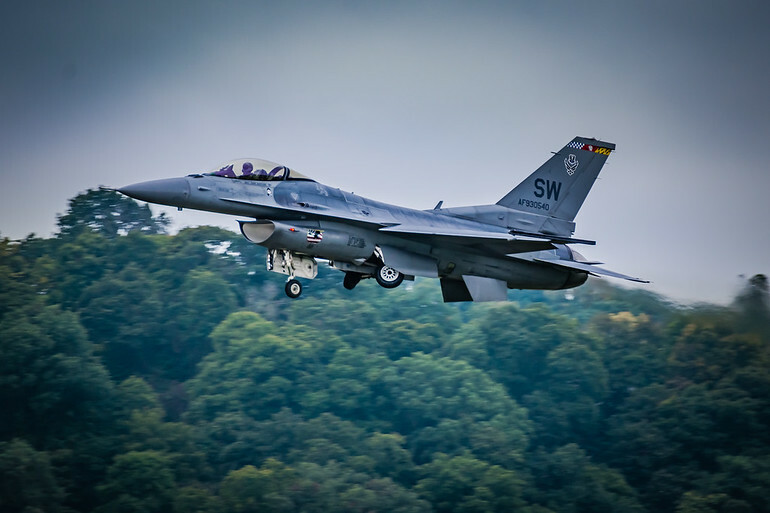 At air shows, use at least a 300mm lens and a high shutter speed to capture the action. If you have a good location near the runway, you may not 300mm and a zoom lens will help keep the aircraft in the viewfinder.